This 2016 Shamrock 22SS Hybrid is the first this year and this is a great trailer. We have checked it out and everything works! 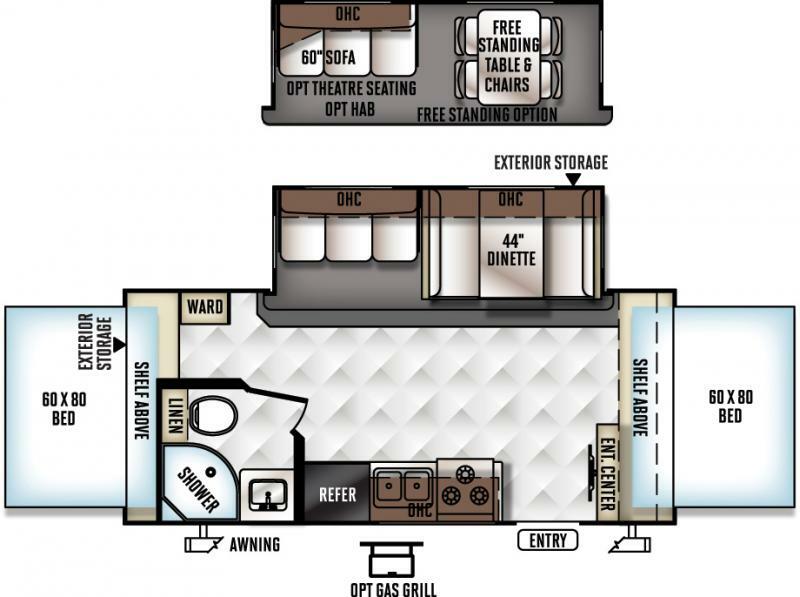 This 22' trailer has a huge open area that only a hybrid can give you! Tents front and rear, then the Slideout too, which by the way has a topper!